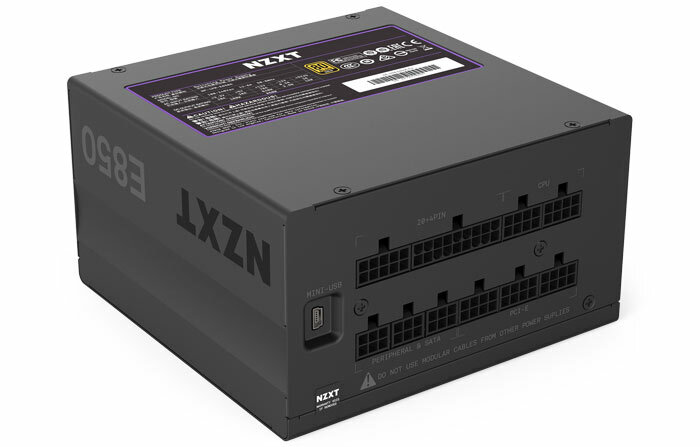 Chassis and cooling specialist NZXT continues to spread its wings with a new range of ATX PC PSUs. It already has one series, the HALE 82 V2 line of fully modular 80 Plus Bronze PSUs, but the new range piles on the tech, plus greater efficiency, with the hope of appealing to those whom seek "a smarter PC". 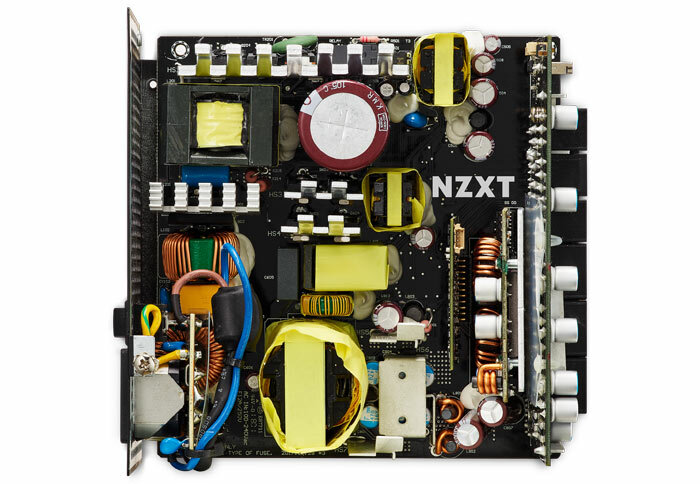 The NZXT E Series digital PSUs builds upon the foundation of the Seasonic Focus+ Gold platform and PMBus architecture, adding a powerful Texas Instruments DSP and USB connectivity to the mix. This component combo with NZXT knowhow is designed to provide PC builders with real-time power monitoring and control. 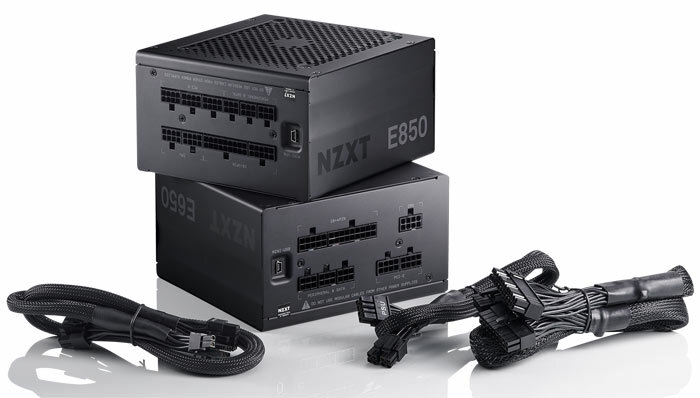 The E Series lineup includes 500W, 650W, and 850W PSU models - all 80Plus Gold certified. "The PSU is a critical part of your PC. Our goal for a creating smarter PC capable of automatically responding to the demands of the application - whether you are browsing the web, drafting email, or playing your favourite game - includes adding control and monitoring to devices that are integral to the system." said Johnny Hou, founder and CEO of NZXT. Users can track the performance of the PSU in real time, monitor temperature and total power-on hours, and even enable multi-rail OCP for additional protection of key components. As you might expect, from NZXT, this functionality is all available through the CAM software solution on your PC. E Series PSUs leverage the TI DSP chip to provide real-time wattage indicators for the three 12V rails, along with total uptime and internal temperature. You can monitor/check this data in CAM, checking the CPU and GPU power draw and looking over their historical data if you wish. Another compelling function enabled by the DSP is independent over-current protection (OCP) for the 12V output to the motherboard, CPU, and GPU. Obviously this provides better protection for your expensive components. NZXT's new E Series will all run silently at loads of 100W or less in total thanks to their 0dB mode. Furthermore, you can utilise CAM to optimize your own fan curve to suit your system or choose between the Silent, Performance, or Fixed preset modes. 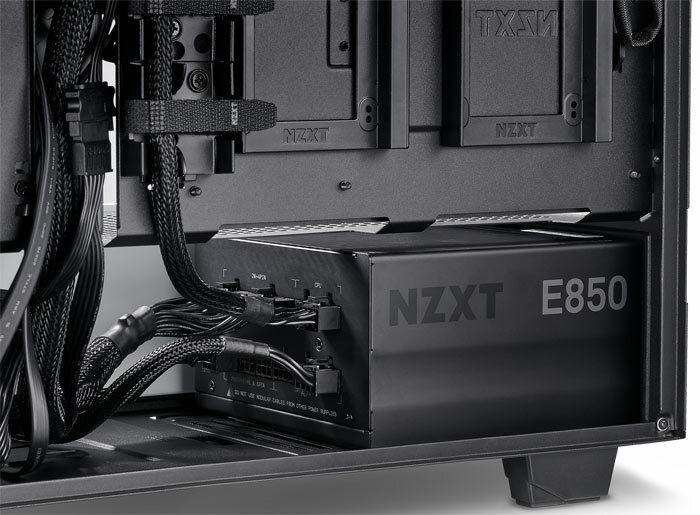 In its email to HEXUS, NZXT says that the E Series digital PSUs will become available to purchase before the end of July. Recommended pricing is as follows: the E500 is £114.99, the E650 is £129.99, and the E850 is £139.99. For someone who's interested in their specs, this would be a worthy addition and if I see a PSU going for similar price, but one with this addition I'd definitely pick this. Yes you can get devices that plug into the power socket and give you results, you could even pay £20-35 for one that is wireless and shows on your phone, but this would be much better if you're specifically doing it to get data about your PC usage, without the monitor included. Even better if you could regulate and find out the speed of the fan too. I'd like to see the software that comes with it.